Crow Canyon will be showcasing its Asset Management for SharePoint application during the free online Collab365 Solutions Day on Thursday, Dec. 3. Crow Canyon’s presentation will take place at 11 am Pacific Standard Time. 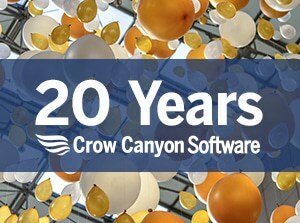 Crow Canyon’s IT Asset Management for SharePoint now includes features such as procurement and purchasing, software license management, barcoding, and integration with Lansweeper, SCCM, Dell KACE, and other network discovery tools. These capabilities help IT departments acquire, maintain, and service the critical resources their organizations need to function and grow, while keeping costs under control. The application, which fully integrates with Crow Canyon’s IT Help Desk for SharePoint, already includes other important modules, such as planned preventative maintenance, contract and document management, inventory control, vendor/supplier support, and more. The program runs on all versions of SharePoint as well as Office 365. Collab365 Solutions Days are designed to highlight SharePoint and Office 365 solutions to real world problems, all in one place with the full interactivity of the Collab365 conference platform. These events are free and hosted online. Collab365 is the first organization to host fully online conferences for the SharePoint and Office 365 community. Crow Canyon Systems develops core business applications for Microsoft SharePoint and Office 365. These programs include Help Desk, Asset Management, Facility Maintenance, Customer Support, Purchase Requisitions, Contract Management, and more. They can be used individually or in conjunction with each other to improve efficiency and organization in any department, resulting in better customer and employee service. See www.crowcanyon.com for details.